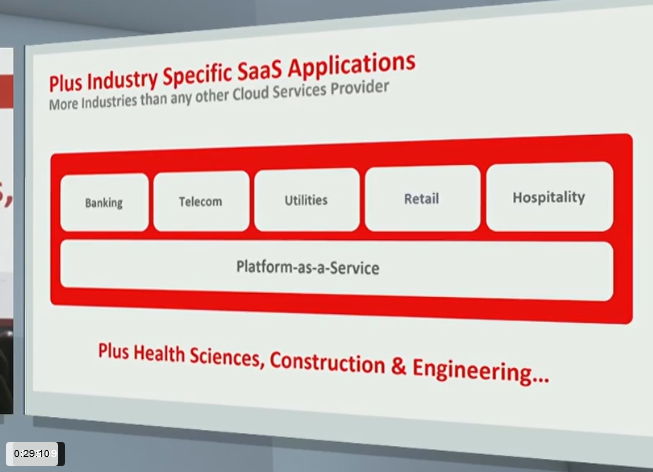 Oracle has a broad SaaS portfolio: ready to run business applications that support enterprises in most common aspects of running a business. 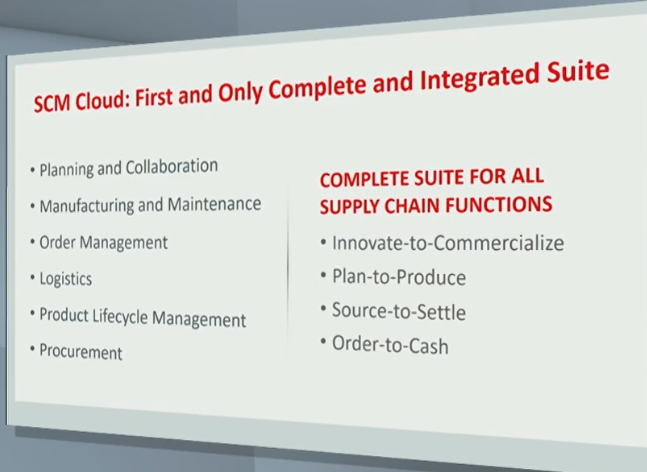 The flagship SaaS product line is based on Fusion Applications and covers four core areas: HCM and Sales (the first to come out as SaaS offerings) and ERP and Supply Chain Management (the second wave of Fusion Cloud Applications). 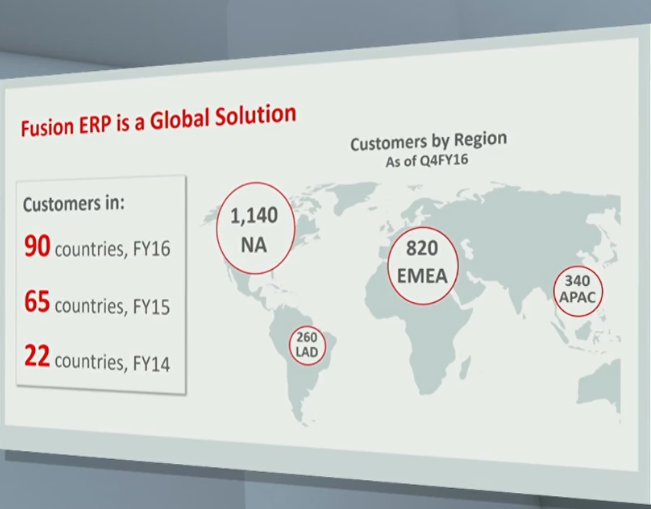 The uptake of ERP Cloud is shown in this next slide, indicating that there is a significant number of companies across the world who has signed up to ERP Cloud. 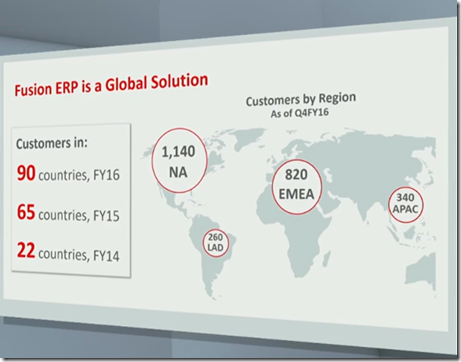 Unlike some of the other SaaS offerings from Oracle, ERP Cloud is not an acquisition, but the home grown Fusion Applications – on top of some of the underlying EBS foundations. 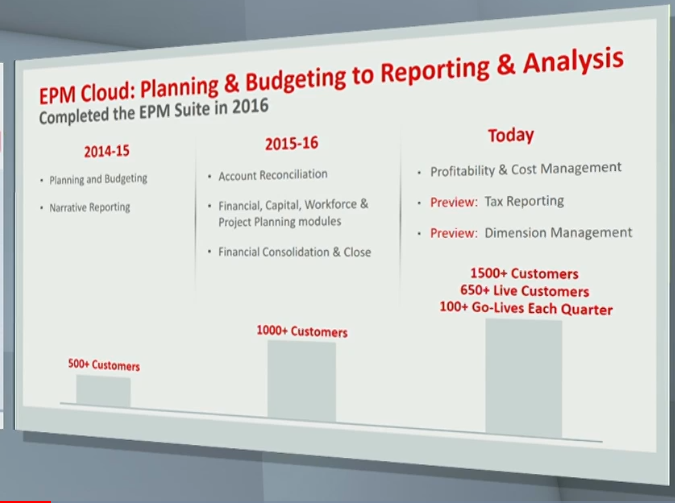 In the past year, Oracle has rounded out this portfolio with the addition of Enterprise Planning and Budgeting (EPB). 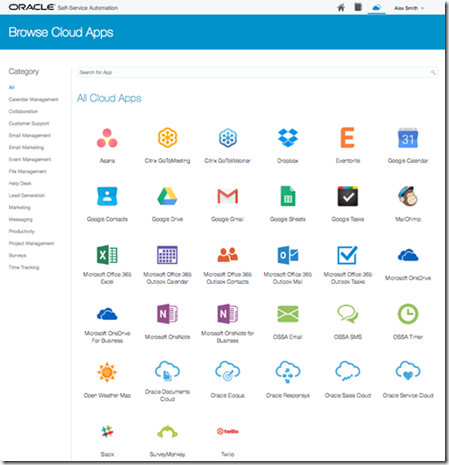 Application Builder Cloud Service will integrate with the SaaS APIs and allow business users to create user interfaces for specific reporting and manipulation. 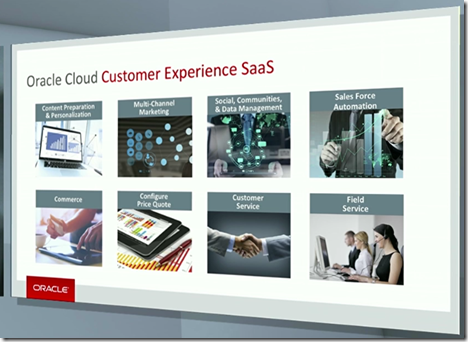 The label CX (Customer Experience) covers a set of SaaS products in the marketing and CRM space. 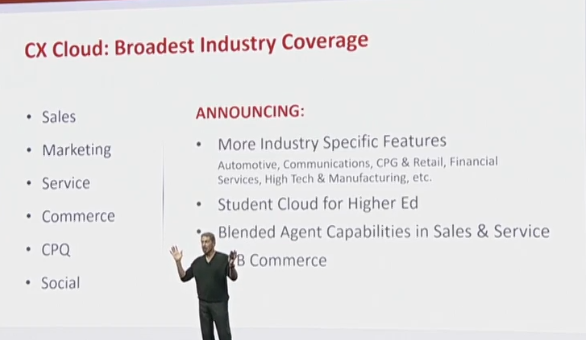 Many of these products are former acquisitions – such as BlueKai, Eloqua, CPQ (Big machines), Involver, Maxymiser, Responsys, Vitrue, Collective Intellect, Compendium, FatWire and RightNow. 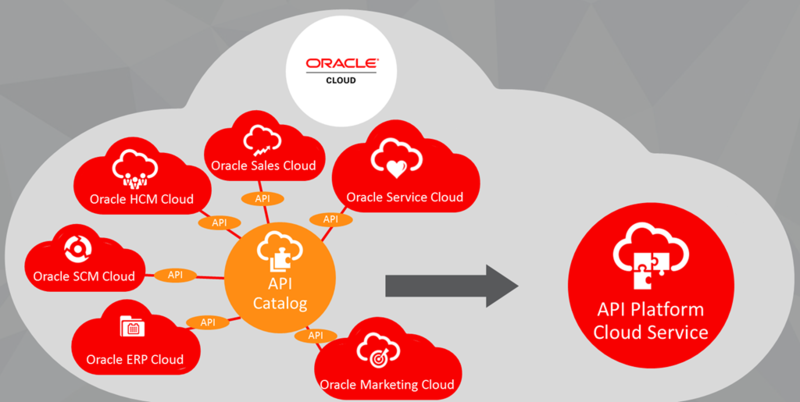 The integration between the various products and areas (marketing, service, CPQ, commerce, customer data management) within the CX Cloud family is continuously being improved. 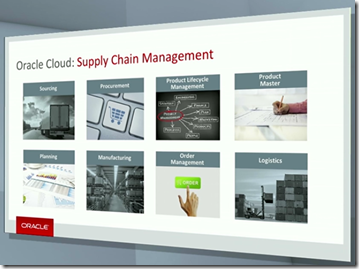 Individual products are strengthened by leveraging the Oracle PaaS platform services. 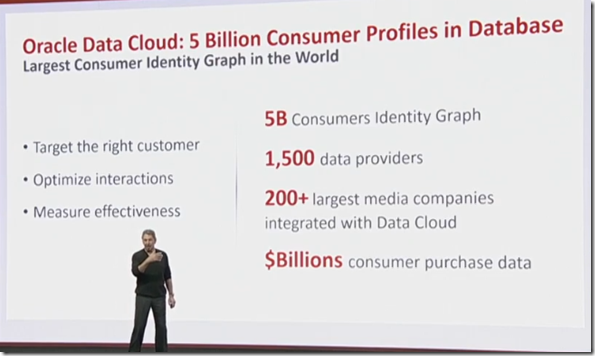 Additionally, the DaaS portfolio that offers Data as a Service, adds value to the CX Cloud Suite by making several billion consumer profiles available, segmented into over 40,000 segments. 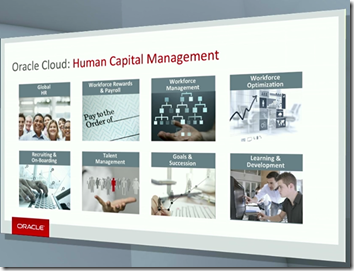 On the left is the slide used by Thomas Kurian, on the right is Larry Ellison. 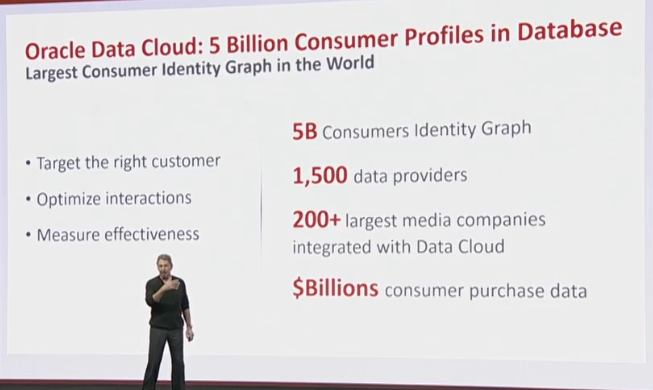 His Data cloud is even better than Thomas’ set of identity graphs. 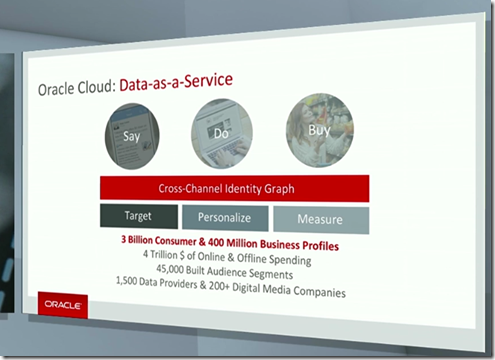 The Oracle Data Cloud aggregates, analyzes, and activates consumer data into one unified solution that creates cross-channel consumer understanding, so that companies can know more about who their customers are, what they do, where they go, and what they buy. 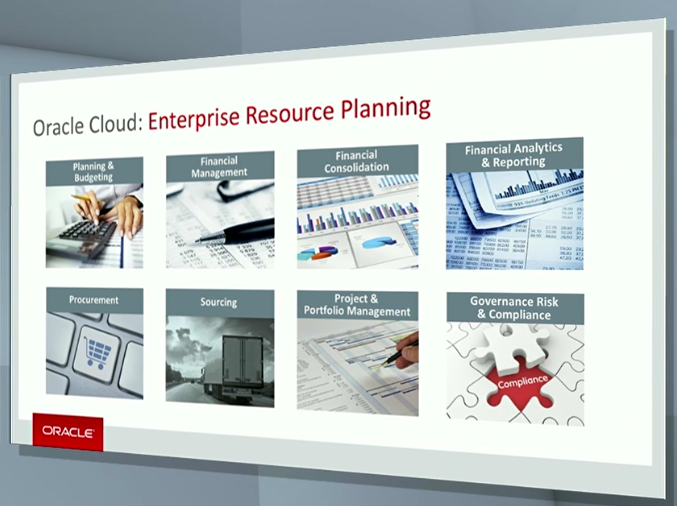 A category of its own, and not even officially included in Oracle’s portfolio, is NetSuite. 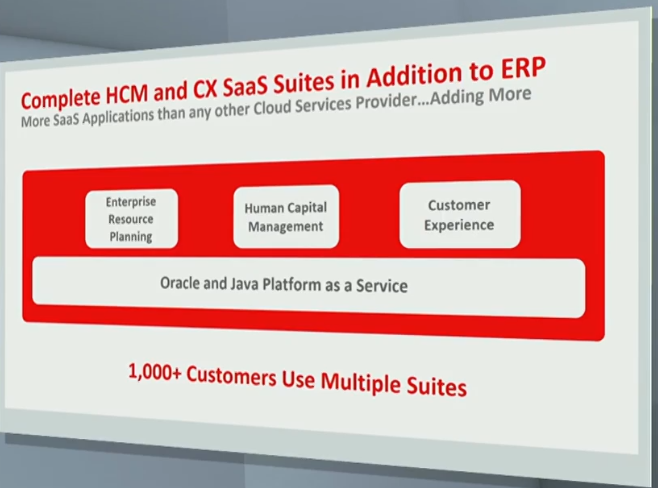 In July, Oracle announced its intention to acquire NetSuite – a vendor of a broad SaaS portfolio for the small and mid-sized business market. 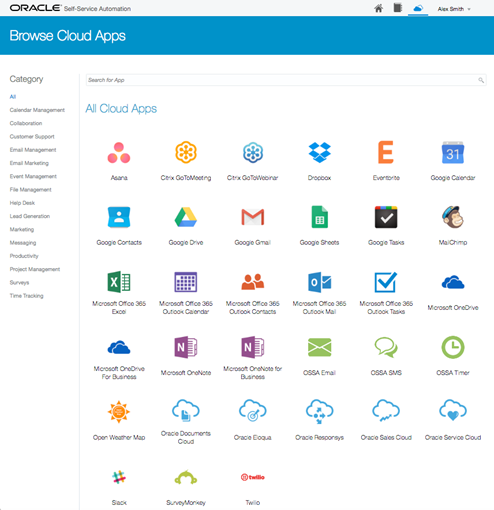 The portfolio is fully cloud based – and has been from the start of the company in 2002– and includes business accounting, ERP, CRM and ecommerce software. 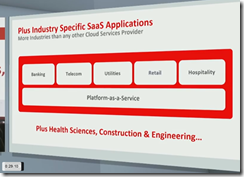 The acquisition is not yet formally completed and that is probably the reason why no plans have been communicated about the future of NetSuite within the Oracle family – about potential integration with other services for example. Oracle has described for each application how it can be deployed in the cloud. 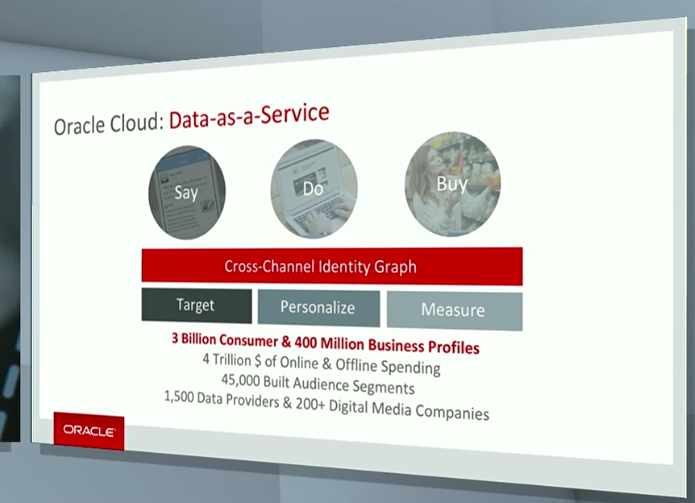 In all cases, this means running the application on Oracle IaaS (Compute and Storage) in combination with DBaaS. 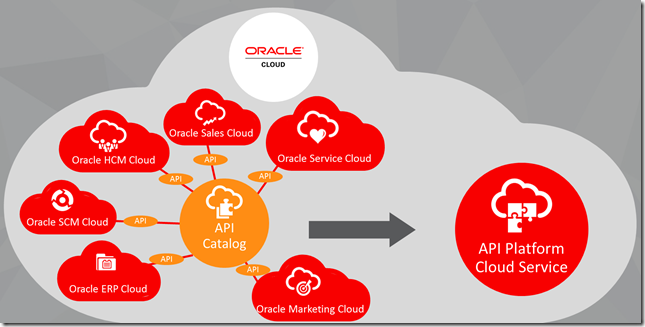 Additionally, the Oracle Managed Cloud Services – fka Oracle OnDemand – offers to run and manage the applications as fully managed cloud service. 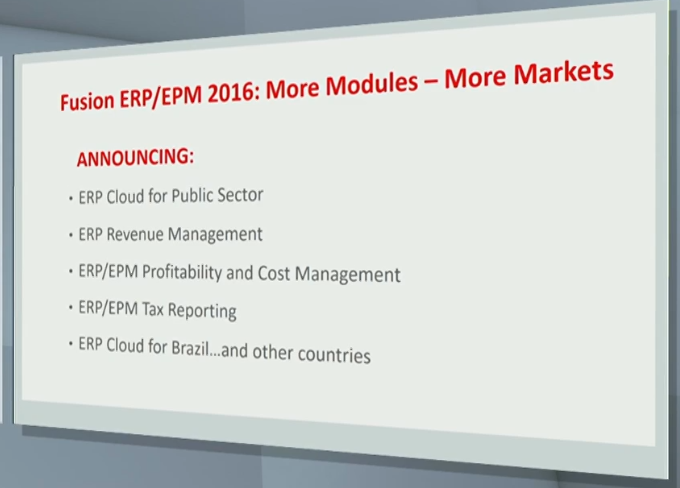 Note: many Oracle partners have similar offerings of a fully managed cloud based EBS, PeopleSoft, Siebel or JD Edwards instance. 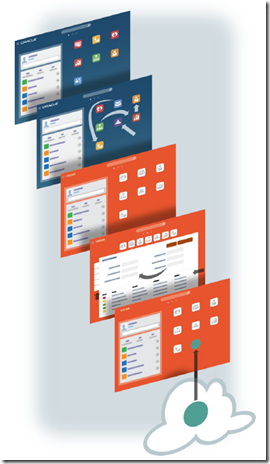 The cloud applications user experience – the simplified UI – has largely been adopted by E-Business Suite. 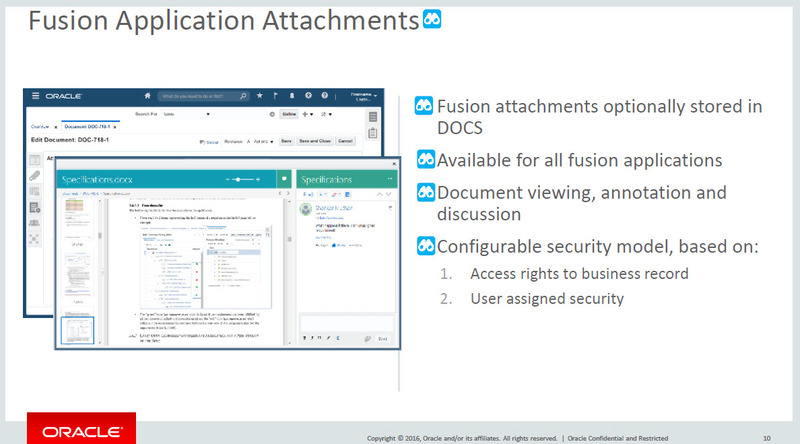 For the most recent release of EBS, it is extremely challenging to tell Fusion Cloud pages apart from EBS screens. 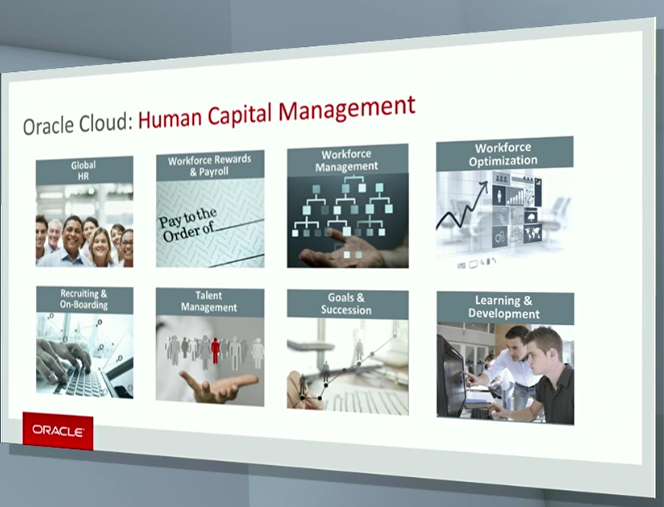 The underlying technology is largely the same: ADF running on WebLogic and interacting with Oracle Database. 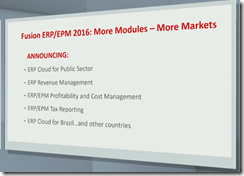 Note: some parts of E-Business Suite are still on Forms – version 10g R2. Given the fact that this Forms release runs in browsers using the JRE plugin and the end of support for this plugin in all modern browsers, Oracle is facing a challenge. 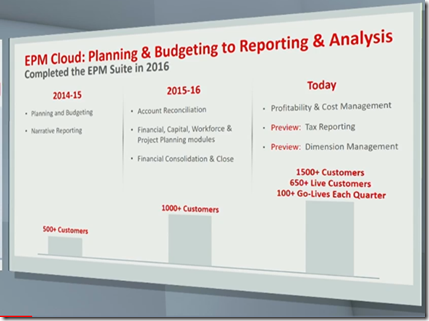 Another example of a quickly evolving traditional application is JD Edwards. 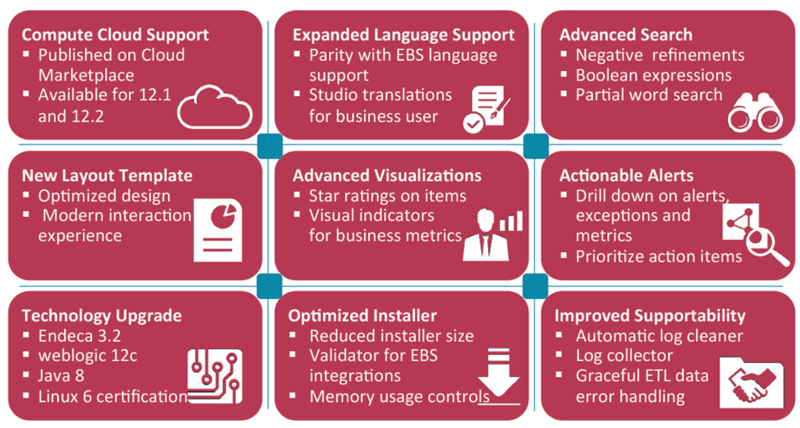 In the most recent 9.2 release for example, JDE has the EnterpriseOne Pages and Café One (Composite Application Framework) features, geared at the citizen developer who can compose and even build new pages in JD Edwards at run time. 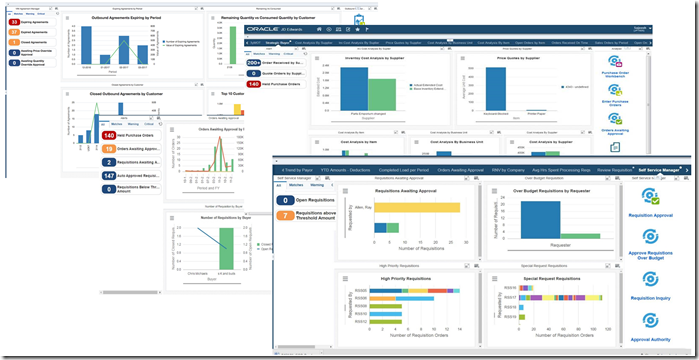 OneView is a reporting mechanism – based on BI Publisher – giving users full interactive reporting capabilities on tablet or desktop. JDE also introduces personalization in many aspects- from page configuration to favorite queries. 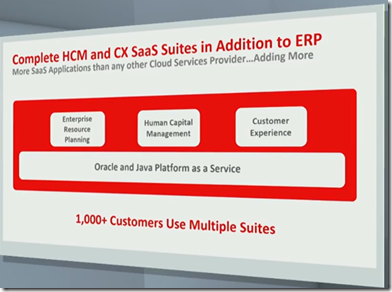 The cloud user experience motto of simplicity, mobility and extensibility (or configurability) underlying Fusion Applications has also been adopted by JD Edwards. 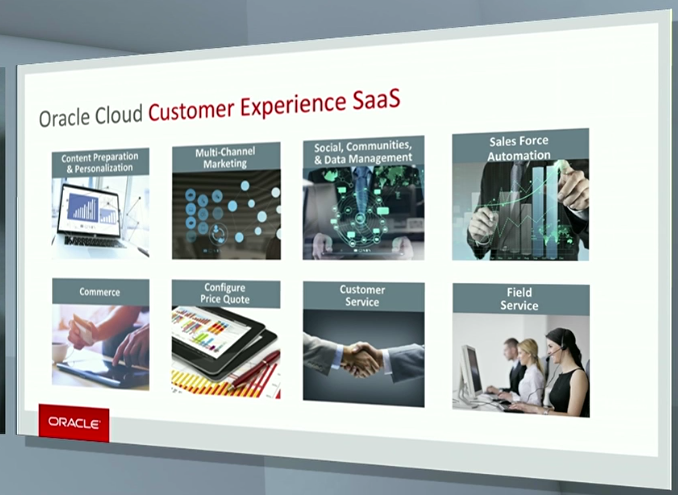 More of the design patterns and interaction styles in the Cloud SaaS applications are likely to come the way of JDE. 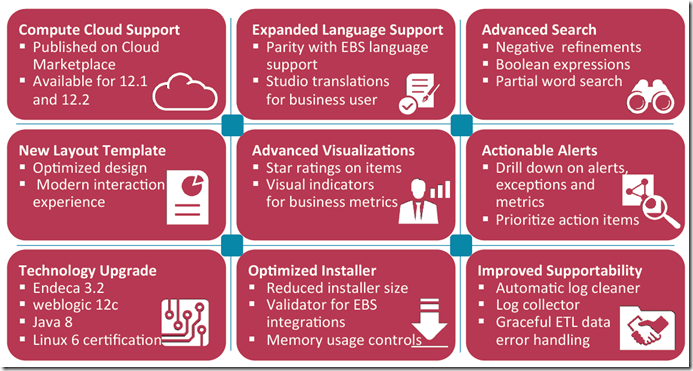 Next steps suggested for JDE include integration with IoT, use of voice recognition, cognitive computing (aka machine learning) and enterprise (elastic) search. 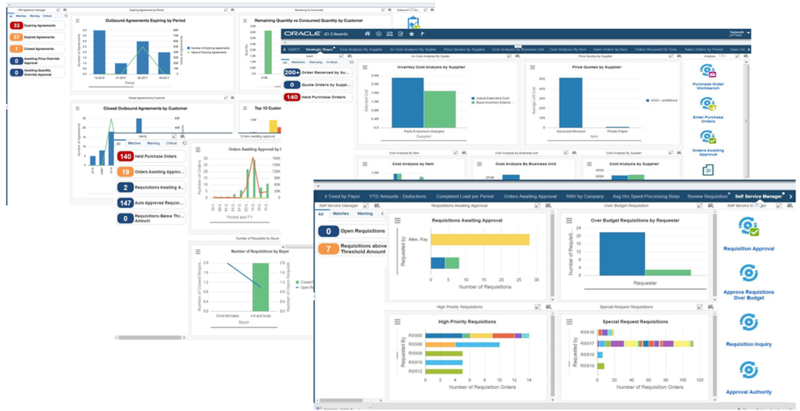 JD Edwards EnterpriseOne Internet of Things Orchestrator enables citizen developers to feed incoming data from IoT devices directly into JD Edwards applications, optionally leveraging the Internet of Things Cloud Service to deliver more control, visibility, and agility. 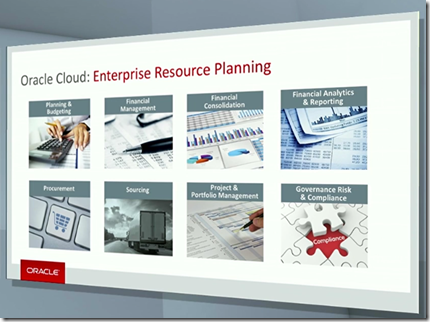 JD Edwards is traditionally built with its own set of tools and technology. Over the last few years, the AIS (Application Interface Services) server has been introduced; it exposes REST services that allow retrieval and manipulation of JD Edwards business data in the same way as offered in the pages. Alternative user interfaces – such as mobile apps – can be developed on top of these services. 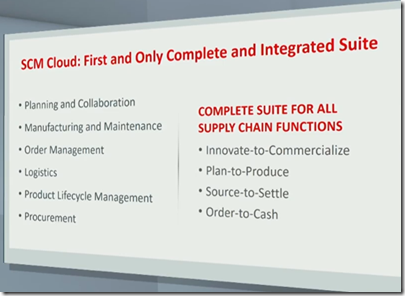 JDE has also started to adopt ADF – the technology under Fusion Cloud applications and much of E-Business Suite – at least to some extent: EnterpriseOne web enterprise applications are built using Oracle ADF. Download the AMIS OOW16 Highlights for an overview of announcements at OOW16.